"The mountains were beautiful with the newly fallen snow...almost as beautiful as your new bathrooms. Our sincere thanks to Kim & Dan! They are remarkable - better than the concierge at a 5 star resort". -Laura & Don. Palatine, IL. Norwegian Log, Jan 2010. 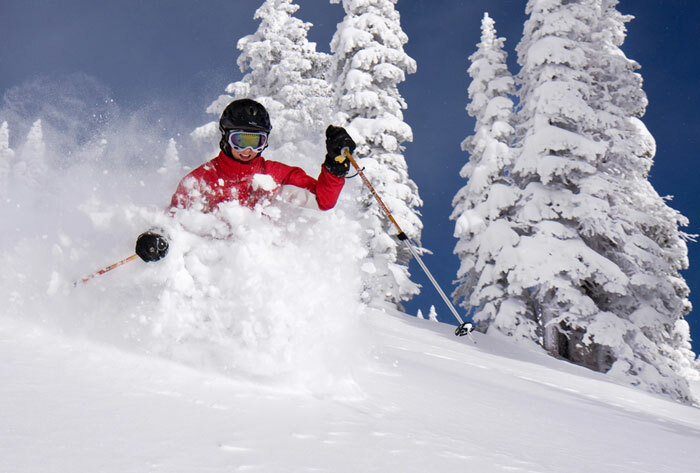 Make your next visit to Steamboat Colorado relaxing and fun-filled when you book affordably-priced, upscale lodging at CondosInSteamboat.com — the premier choice for condo, townhome and duplex vacation rentals in Steamboat Springs Colorado. Only Condos In Steamboat offers clients the best Steamboat Springs lodging prices in town. 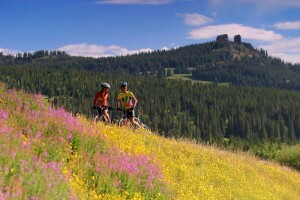 What Makes Steamboat Springs Vacation Rentals So Special? Now you can experience the Steamboat Colorado lifestyle when you stay in one of our many vacation rentals. Only Condos In Steamboat.com makes it easy for visitors to experience the year-round activities by providing upscale vacation rentals by owner properties at fantastic prices. You’ll find plenty of vacation rentals in Steamboat Springs, such as Steamboat Springs condos, with all of the amenities you’ve been looking for. You’ll find 2, 3, 4 and 5-bedroom homes for your enjoyment during your trip. Our properties are designed just for you, and feature ski-in and ski out rental homes or condos. Our Steamboat accommodations feature items that you can’t find elsewhere: home theaters, heated driveways, hot tubs and saunas, free Internet. Nestled 7,000 feet above the snow-capped Colorado Rockies, Steamboat is a winter wonderland that attracts thousands of skiers. Skiing is so popular that Steamboat Springs, CO is officially known as Ski Town, U.S.A. because it offers skiing winter sports such as sledding and snow shoeing year-round. That’s not all. With 164 trails, 3,668 vertical feet and nearly 3,000 skiable acres, Steamboat boasts six mountain peaks with world-class groomed cruisers, bumps, steeps, open meadows, legendary trees and Mavericks – North America’s longest superpipe. From mountains to parks to national forests, there’s always an outdoor adventure in Steamboat Colorado. Our Steamboat Springs CO vacation rentals are less expensive, but still offer amazing value to our many customers. They’re priced lower because you deal with private owners, not some large hotel chain thousands of miles away. The owners of our vacation rentals properties set their own prices. Which means that you benefit with lower prices and more amenities. Our properties are in excellent condition and feature luxury accommodations such as Steamboat Springs condos with enough room for your entire family – or room for just one. You’ll get much more than what you’d find at local hotels, including free access to shuttle services, heated, outdoor pools, exercise rooms and conference facilities at no extra cost when you book Steamboat lodging properties at Condos In Steamboat.com. Not only will Condos In Steamboat help you find ski in and ski out rental homes or condos, we’ll also assist you with Steamboat Springs vacation planning, including lodging. Our Steamboat Springs expert, Kim, can help you with every phase of your visit, from which restaurant to visit on a Friday night to which mountain trail is best for sight seeing. Steamboat Springs is not just any ski resort, but it’s a place where you can go year-round. There are plenty of activities, including Fish Creek Falls, a summer rodeo series, more than 250 shops and boutiques, and 70 restaurants. Come experience what has made this town world-renown. You’ll love staying in Steamboat Springs, Colorado during ski season and beyond.